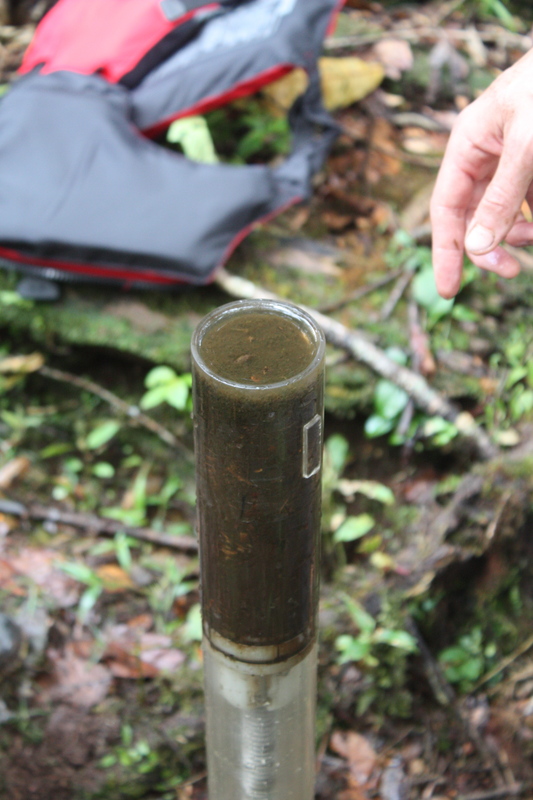 The first half of our field work expedition to Ecuador has now been completed. We had a very successful visit to Mera collecting samples from three new sections and recovered short cores from four lakes. The sediment sections have yielded many wood macrofossils and samples for pollen analysis. It is anticipated that these will shed light on the nature of tropical vegetation during the last glacial period and before. Some of these samples will be analyzed by Hayley as part of her PhD research. The sedimentary section found near Mera contained layers of crushed forest beneath volcanic ash. These “forest beds” provide a snapshot of vegetation in the landscape at the time of eruption. 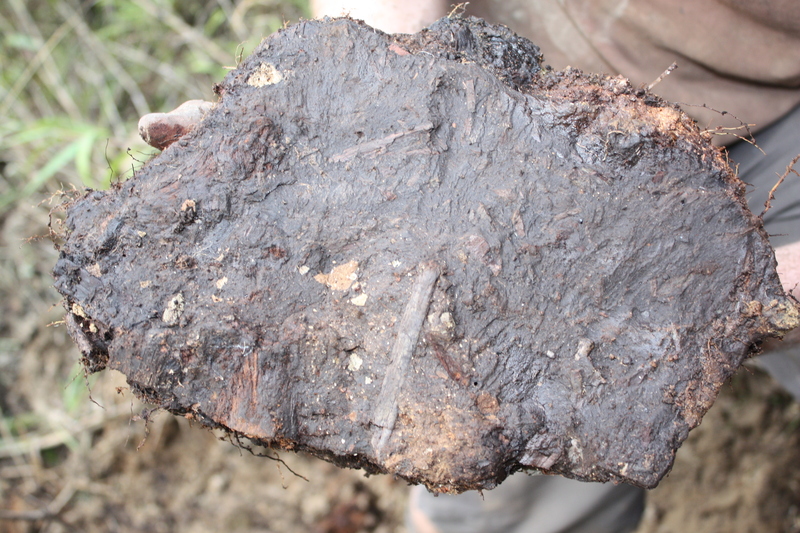 Part of plants growing on the landscape thousands of years ago are clearly preserved in the sediment. The short cores have been collected to provide information on the modern environment and change in the recent (10-100s years) past. These samples will be investigated by both Hayley (modern pollen) and Frazer (chironomids). Collection of the mud-water interface and first few centimeters of sediment can provide information on the modern environment and what has happened in the recent past. We are now back in Quito and will head out towards Papallacta and Cosanga on Sunday to collect samples from higher elevation sites in the Andes. It looks amazing. Three new sections, and four lakes, wow! The lump of sediments with crushed wood looks impresive. Looking forward to know what the Ar-Ar analysis say about this sediments!